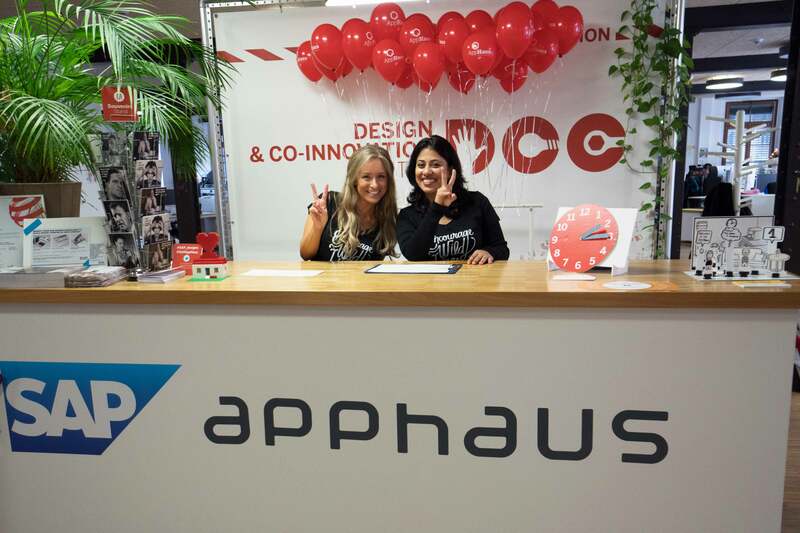 True to its tradition of Open House birthday celebrations, the SAP AppHaus Heidelberg decided to spend its fourth birthday this year by inviting friends and family. On October 13th, our office opened its heavy doors at the historic Landfried complex in Heidelberg from 12–6 pm to welcome visitors of all ages and backgrounds and to showcase our way of working. I had the pleasure to observe the experience from a unique perspective: On the one hand as an employee that knows the SAP AppHaus quite well, on the other hand, I was free to roam the halls of my workplace just like any other visitor, giving me the chance to see what my colleagues had prepared and to capture the reactions of the other guests. My name is Katharina, I am a working student in Marketing and Communications and and I have been part of the SAP AppHaus team since January 2017. 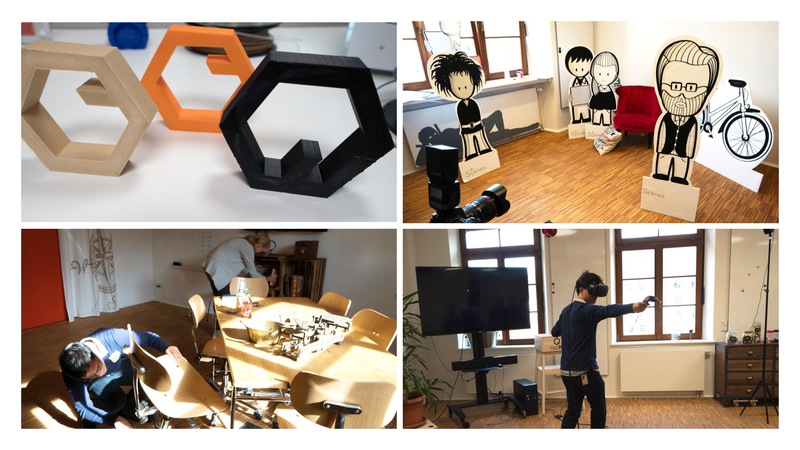 Join me on my stroll through interactive stations and activities and (re-)experience the fourth Open House Day of the AppHaus Heidelberg! The Beginning of the Tour: What is the SAP AppHaus About? Before we begin, let me give you a quick introduction of what the SAP AppHaus is about. 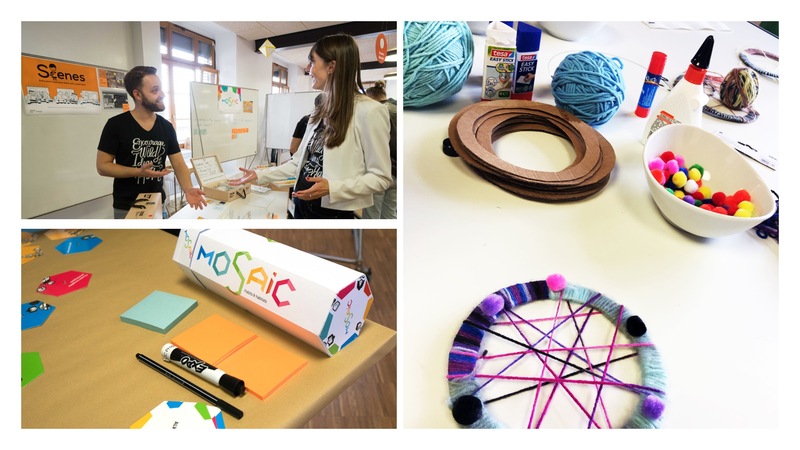 Our AppHaus was founded in November 2013 to create a co-innovation space that allows customers, SAP and end-users to work on projects in a collaborative manner, following the principles and mentality of Design Thinking. Next to our office at the former tobacco factory in Heidelberg, we have set up spaces in Palo Alto, Seoul and Berlin. This four-year experience has also resulted in many great and diverse customer projects and stories: So far, we have published a total of 59 external success stories on Sap User Experience Design Services — and there are many more internal ones. That is the very short description. At the SAP AppHaus Open Day 2017, visitors were able to receive a more extensive introduction to our way of working and stories to be told in a tour through our two Apphaus buildings. My own walk started at the SAP AppHaus main building, which had been decorated with balloons and signs that could not be missed from a mile away. 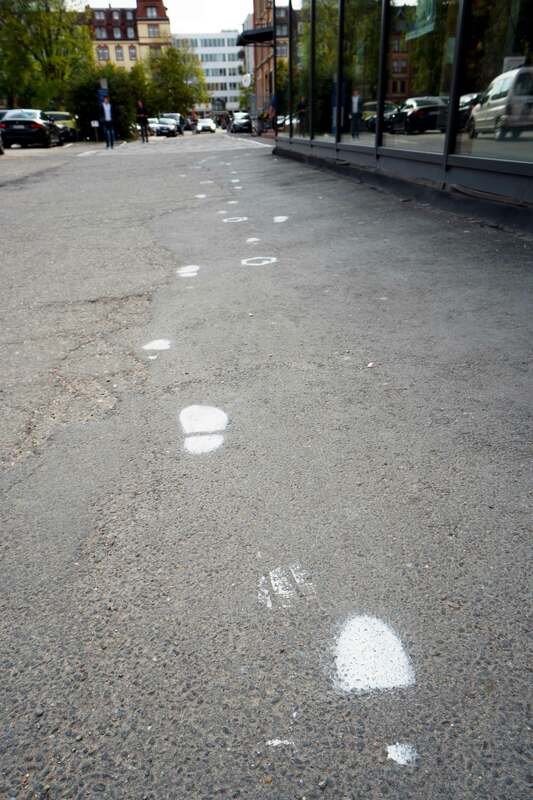 Following the footsteps on the pavement (yes, literal footsteps), I was led to our office on the second floor. While the office part was restricted for visitors, the big workshop room had been opened for guests and was set up with 5 activity stations. The stations matched the present visitors consisting of SAP colleagues, families, neighbors and other companies: Some booths were meant for discussions, networking and a serious getting-to-know of the AppHaus, while others were designed to create a fun and relaxing atmosphere. People were able to unwind and let their minds wander at the idea catcher handicraft station. Yes, you heard right: Not dream catcher but idea catcher. What’s the difference, you might ask? Especially popular among the younger visitors were also the arts and crafts activities. At the silk-screen printing booth, the guests could print their own bags with the AppHaus Logo or the slogan “Encourage wild ideas at the AppHaus”. 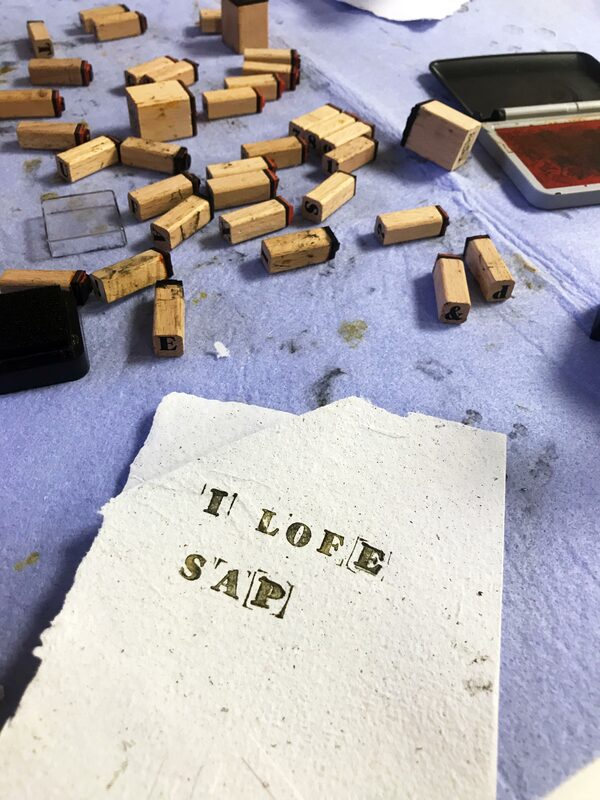 The next station offered them the opportunity to produce new papers — out of a seemingly very liquid mix of recycled papers — and to decorate them according to their wishes. Another booth introduced the visitors to the basic principles behind design and drawing techniques. Did you know that every shape imaginable can be broken down to the geometric shapes of a triange, a circle and a square? We also had a station set up to present our latest tangible toolkits, the storyboarding tool Scenes and our newest product Mosaic, a method for prototyping creative spaces. This booth was one of the most crowded places and the cause of many energetic discussions and interested questions. By the way, we are working on a DIY version of Mosaic to download. Check out the website to stay updated! After the buzzing of the main building, I continued the Open House Day with our second building, the AppHaus extension, which had been built last year to provide more space for customer projects. Here, the different activities were divided into the project rooms and the big workshop space. Next, the Scenes photo booth offered visitors the opportunity to dress up and take a picture with their favourite life-sized SAP Scenes characters. Afterwards, they could relax next door and learn about our design projects in the movie room. In cooperation with the SAP D-Shop, we used the workshop room to showcase interesting new technologies. A 3D-printer was set up to illustrate how all kinds of materials can easily and at little cost be produced, while a gesture-control glove allowed users to play a small game with their fingers as the controller. Also popular among the young adults: the Virtual Reality horror game in the same room! Another activity that caused a lot of adrenaline was the escape game at the last station— also one of my favourite activities! The aim of such a game is to solve a series of riddles within a certain amount of time in order to escape a locked room. Our escape room followed the topic of Vasco Da Gama’s travels across the world. In a way, this activity required many traits that are also useful for Design Thinking: 1. Understanding the problem at hand 2. Being creative and working iteratively, if you fail 3. Working together and using the shared skills of the group 4. Operating under time restrictions! And that concluded my SAP AppHaus Open Day 2017. I enjoyed the many different activities, leading interesting conversations with both guests and colleagues and also learning a thing or two about activities related to design and SAP! In the end, I left my outsider perspective and joined my team in helping at the stations, taking care of the guests and starting to write down my experiences. Did you miss the Open House Day 2017 or want to further explore our space? Take a virtual tour here or make an appointment to experience the location in person via AppHausHD@sap.com. Also follow us on Facebook and Twitter for news and updates about further events at our SAP AppHaus Heidelberg — like the Open House Day 2018!